The following was originally published on the Petfinder Blog. That’s why I’m sharing my top five tips for letting go at the end of a foster period. While they’re not exactly foolproof (we just decided to adopt our last foster cat, Wes), these tips have helped me let go of well over 20 foster cats and dogs and place them in loving, happy homes — that aren’t my own. 1) Get a foster dog who’s not right for you long-term. For me, letting go starts the moment I decide to take on a new foster pet. I select fosters whom I believe I can help, but whom I wouldn’t want to adopt. Generally this means smaller dogs (like my past foster Alvin) are a great bet for my household. I love working with them and their small size does well with my cats, but having a dog long-term in my small New York City apartment is hard. Don’t take in a foster dog you can’t handle — you want to keep everyone safe — just choose one who doesn’t quite suit your lifestyle. Do you hate to clean? 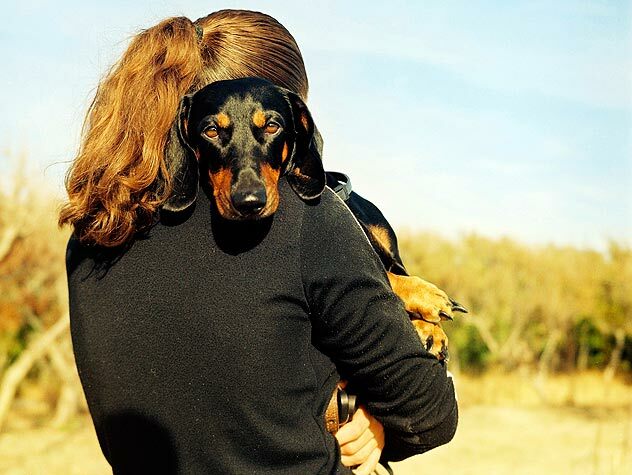 Foster a dog with a long coat. Are you a couch potato? Foster high-energy puppies. As much as you’ll miss your fosters when they’re adopted, part of you will welcome the return to normalcy when they’re gone. 2) Get your friends or family involved. Having your foster dog bond with a variety of people can help you keep the emotional distance you need to let go — you won’t think of the dog as “yours” and you won’t worry that he or she will never be happy without you. 3) Help find and screen potential adopters. 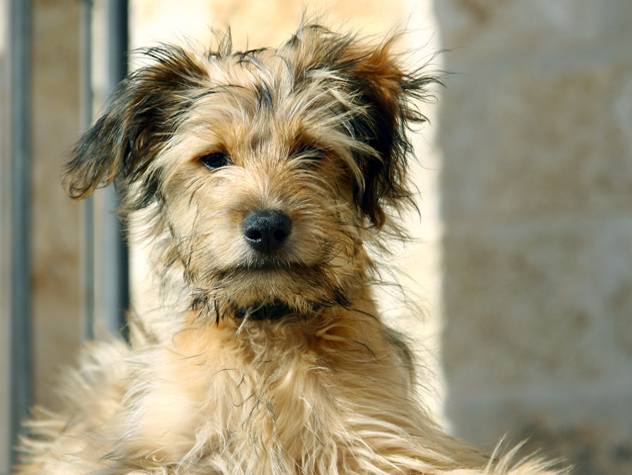 Find out if the rescue group or shelter will let you help screen potential adopters. Some organizations will rely heavily on you, while others don’t require foster parents to ever meet potential adopters. You’ll feel more comfortable saying goodbye when you know your foster dog is going to a great forever home — and your efforts increase the chances that he’ll find that home. 4) Remember that letting go of this one enables you to save another life. If keeping this foster dog means you can’t take in another dog in need, then you could be missing out. And the other dogs in need are definitely missing out. Remember that, while each adoption saves a life, a great foster parent can save many lives, by socializing and rehabilitating dogs who might not find homes while living in a shelter. 5) Ask for follow-up stories and pictures from your foster dog’s adopter. The hands-down best moment of fostering a dog for me is dropping my foster off at his new home. Teary? Yes, often. But still the best, because I get to see how much better his life is going to be from now on. If you’ve met your dog’s adopter, ask him or her for an e-mail update and pictures. You might not always get them, but when you do you’ll be on cloud nine. Ok, none of these tips will completely alleviate the pain of letting go of your foster dog, nor will any of them ensure you won’t get attached. But think, if the worst that happens is that you fall in love with your foster dog and end up with a new family member, is that really so bad? Wes, my most recent “failed” foster certainly doesn’t think so — and neither do I. These are the questions most people ask before deciding to foster a pet. Get the answers now.